There is a reason Jacksonville chooses Pro Color Jax for their commercial painting services. Our commercial painters in Jacksonville are highly skilled and knowledgeable in the most efficient paint applications & technologies. 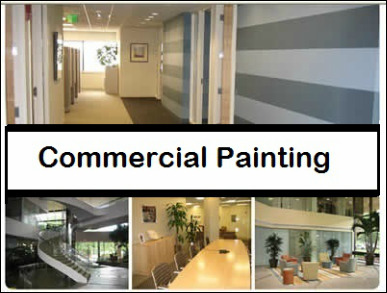 On time and within budget, commercial painting service at it's best! At Pro Color Jax, Commercial Painters, we have a commercial painting solution for your project, from retail spaces, new construction, to annual building maintenance, flood and fire damage, and much more. We specialize in the application of various protective coatings that are highly resistant to the elements and will endure high traffic, all the while providing an aesthetically appeasing look. Whether you need commercial painting services for a single unit, or a large commercial complexes, we will fulfill the project requirements within your budget. Commercial painting in Jacksonville is a very important part of our business, and the commercial painters here at Pro Color Jax are second to none, unmatched quality and service! Providing quality, commercial interior painting, exterior commercial painting as well as many different aspects of commercial exterior waterproofing services. Our commercial painting service offers elastomeric waterproofing systems, high performance coatings, epoxies, commercial roof coatings and more. ​Both our commercial interior painting in Jacksonville and our commercial exterior painting in Jacksonville prices are competitive to any other commercial painting service in Jacksonville You’ll get quality commercial painting. This commercial painting contractor will work hard to bring your Jax office space, business or HOA project the quality it deserves --- the most professional paint job possible! Pro Color Jax is known for providing commercial painting results that go above & beyond.